Microsoft Advanced Excel Training Home | Intellisoft provides Custom Advanced Excel Training in Asia, Middle East, India etc. Looking for Microsoft Advanced Excel Training? You have come to the right place! At Intellisoft, we regularly conduct Microsoft Excel Training classes, and in-house corporate trainings on Advanced Excel in Singapore, Malaysia, Indonesia, Middle East, India etc. Practical hands-on training on how to use pivot table in excel, excel tricks, vlookup in excel, how to use excel functions. SDF Funding is available to Singapore Companies (For company sponsored candidates). Call +65 6296-2995 for Details on the Training Fee funding available to companies. SkillsFuture credits ready for Individual Singaporeans upgrading their skills in Excel Formulas and Functions. – Learn about New & Advanced Excel Functions, Advance excel formula like Vlookup excel 2016, excel Pivot Tables, Macros, Sharing, Working With Multiple Files and much more. Practical, Hands-on, lots of shortcuts to improve productivity in Excel 2016. – Learn about Advance excel 2013, Advanced Functions, Formulas, Vlookup excel 2013, Learn Pivot Tables, Macros, Sharing, Working With Multiple Files and much more. Practical, Hands-on, lots of shortcuts to improve productivity in Excel 2013. – Learn about Advanced Functions, Formulas, Vlookup, Pivot Tables, Macros, Sharing, Working With Multiple Files and much more. Practical, Hands-on, lots of shortcuts to improve productivity in Excel 2010. – Learn about Advanced Functions, Formulas, Vlookup, Pivot Tables, Macros, Sharing, Working With Multiple Files and much more. Practical, Hands-on, lots of shortcuts to improve productivity in Excel 2007.
organize worksheet and table data using multiple techniques. summarize information quickly using excel pivot table, and generate Management Reports. Use the Correct Recommended Chart Feature in Excel. be able to create and use the New Charts in Excel like the Pareto chart. customize and enhance workbooks and the Microsoft® Office Excel® environment. 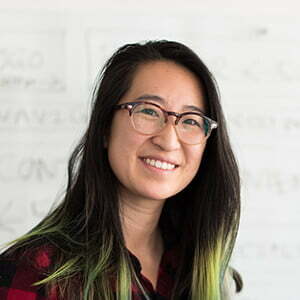 They will learn to deploy Advanced Excel techniques, to increase productivity and improve efficiency by streamlining the workflow. Participants will learn to use advanced features and functions of Excel® to improve productivity, enhance spreadsheets with templates, charts, graphics, and formulas and streamline their operational work. They will apply visual elements and advanced formulas to a worksheet to display data in various formats with Pivot Tables, Conditional Formatting, Advanced Filtering, and Sorting options. Who is this Advanced Excel Training Most Suitable For? 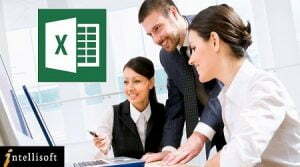 Microsoft Advanced Excel Training program is most suitable for people who use Microsoft Excel in their day-to-day work, and know the basics of Excel pretty well, and would like to extend their knowledge of the more advanced functions of Excel to become more productive and make the most of Excel software. The course is designed for participants would want to learn how to quickly analyze data, sort and filter data, import and export data sets, and understand data using the rich features provided in Excel. It will impart the necessary skills to create simple macros, collaborate with others, audit and analyze worksheet data, incorporate multiple data sources, and import and export data. 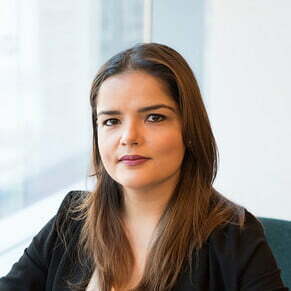 In addition, the course is also for participants desiring to prepare for the Microsoft Certified Application Specialist exam in Microsoft® Office Excel®, and who already have knowledge of the basics of Excel, including how to create, edit, format, and print worksheets that include charts and sorted and filtered data. 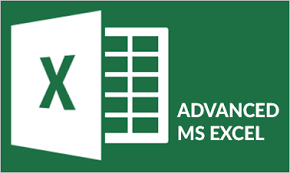 What are the Pre-Requisites For Attending The Advanced Excel Training? Advanced Functions and features of Excel would be taught in this workshop. A laptop with Excel version pre-loaded is provided for use in the training class. Need Help in Registering for Advanced Excel Training Class? Submit an online enquiry if you have any questions regarding Microsoft Advanced Excel training. We also offer Corporate Trainings for Microsoft Advanced Excel Training version. If you have a group of people, we can arrange to conduct the Microsoft Advanced Excel training at your office location too. Just contact us for the quotation and suitable dates for the training. Call us at +65 6296-2995 or email to training@intellisoft.com.sg for any questions, or to register for the upcoming class of Microsoft Advanced Excel Training in Singapore.